Marker series. This marker is included in the Postal Mail and Philately marker series. Location. 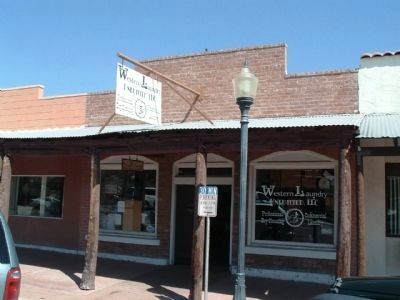 33° 58.152′ N, 112° 43.932′ W. Marker is in Wickenburg, Arizona, in Maricopa County. Marker is on Frontier Street, on the right when traveling north. Touch for map. 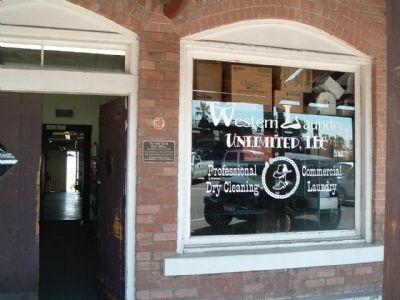 Marker is at or near this postal address: 144 North Frontier Street, Wickenburg AZ 85390, United States of America. Touch for directions. Other nearby markers. At least 8 other markers are within 15 miles of this marker, measured as the crow flies. Henry Wickenburg (about 400 feet away, measured in a direct line); Everett Bowman (about 400 feet away); Garcia School (about 600 feet away); The Jail Tree (about 600 feet away); Vulture Mine (approx. 2.3 miles away); Wickenburg Massacre (approx. 3.8 miles away); Vulture Gold Mine (approx. 11.8 miles away); Congress, Arizona (approx. 14.8 miles away). Touch for a list and map of all markers in Wickenburg. More. 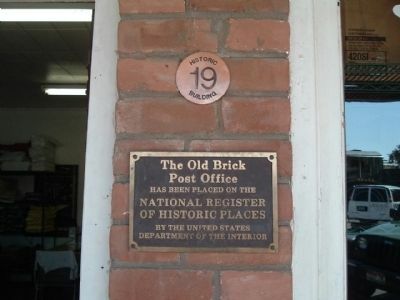 Search the internet for The Old Brick Post Office. Credits. This page was last revised on July 26, 2018. This page originally submitted on April 4, 2010, by Bill Kirchner of Tucson, Arizona. This page has been viewed 866 times since then and 14 times this year. Photos: 1, 2, 3. submitted on April 4, 2010, by Bill Kirchner of Tucson, Arizona. • Syd Whittle was the editor who published this page.